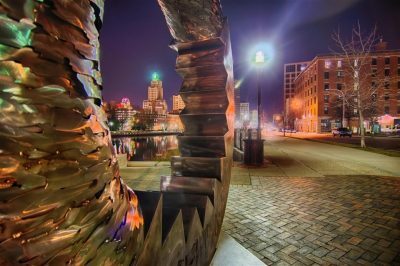 The state of Rhode Island has made another step towards the legalization of mobile sports betting. Wednesday saw the state’s Senate vote 31-4 to the measure which would make mobile sports wagering legal through the Twin River casino venues in Tiverton and Lincoln. 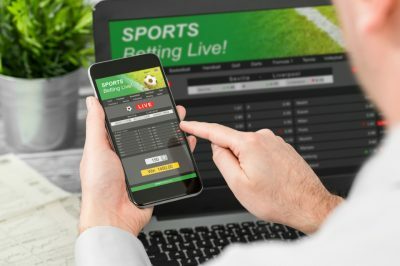 If the proposed piece of legislation is finally passed, a mobile sports betting application would be created so that local customers at Twin River casinos would be able to place their bets within the state of Rhode Island. Rhode Island and Pennsylvania expected to soon join New Jersey, West Virginia and Mississippi as states with mobile sports betting. The bill was introduced by Senate President Dominick J. Ruggerio who said at the time that the addition of mobile sports wagering is expected to bring extra money into the state. He noted that mobile gambling expansion would be a great addition to the local gambling sector, as it would provide a new and convenient option for everyone who wishes to enjoy this form of entertainment, not to mention that it would bring more economic benefits to the state. A few months ago, Rhode Island became the seventh US state to offer sports betting following the ground-breaking ruling of the US Supreme Court which in May 2018 decided to lift the nationwide ban on this type of gambling. Now, Senate Bill 0037 seeks to make it possible for Twin River casinos in Tiverton and Lincoln to operate a mobile betting application to complement their land-based sports betting operations. The bill introduced by Senate President Ruggerio, however, faced opposition at the Rhode Island Senate. Senator Sam Bell explained that he refused to back the bill due to the fact that the measure would end up creating a monopoly on online sports betting to the already existing Twin River gambling venues. The bill had its supporters, too. According to State Senator Donna Nesselbush, Rhode Island needs the revenue that would be added to state coffers in case that the bill is turned into law. She, however, shared that she would not be surprised if the bill faces a legal challenge. If the measure is given the nod in the House, the bill would be sent to Governor Gina Raimondo for final approval. Some proponents of the bill believe that its chances of being turned into law are considerable at this stage, as the Governor’s proposed 2019/20 budget already includes new revenue of $3 million which is set to be generated by mobile gambling operations. According to the main sponsor of the bill, Senate President Ruggerio, the money which would be brought to Rhode Island could be used for what he called “critical state services”, including bridge and road repairs, as well as human services and education. Apart from that, legalization of mobile sports betting is also expected to tackle some of the unlawful sports betting operations in the state. As explained by the bill’s sponsor, according to estimates, about 97% of sports betting takes place illegally. Turning the proposed measure into law would allow local residents and Rhode Island visitors to take part in their preferred sports betting activity without breaking the law.